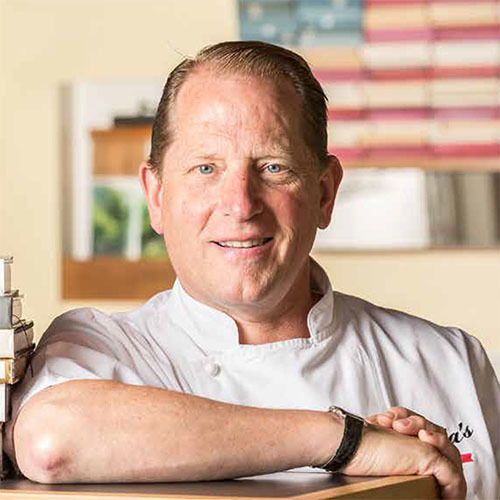 Colin Trippe Ambrose is a successful restaurateur in the heart of the famous Hamptons. He’s a lover of the outdoors, and husband and proud father of three daughters. He is on a quest to fulfill his boyhood dream: to travel across America, fish the best rivers, explore local cuisine, talk to people and hear their stories. Colin’s passion for fishing began as a child and developed during his early adolescence in the Boy Scouts where he discovered his talent for cooking. 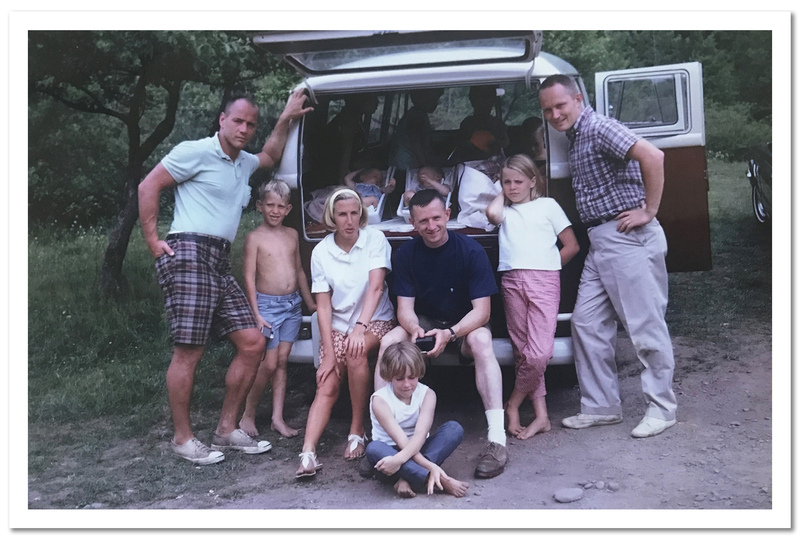 On their various expeditions, Colin was assigned the job of cooking for the troop, and he developed a knack for preparing meals that far exceeded the standard Boy Scout fare. His culinary skills with food from America’s heartland were further honed in college at Utah State, when his roommates, of whom were ranchers from Idaho, delivered all sorts of wild game and challenged Colin to transform such culls into hearty meals. Colin’s early career in the corporate hospitality-driven trade advertising business led to the purchase of his first restaurant, Estia in 1991, a quiet coffee shop in the sleepy village of Amagansett, NY. He turned his venue into a thriving business that attracted year-round locals, Hamptons summer residents and celebrities with its menu that featured locally grown foods from breakfast through dinner. Estia’s, which is Greek for hospitality, has been a staple for “good, clean, fairly-priced food” for over two decades. Estia’s Little Kitchen continues to thrive, as does an additional eatery in Darien, CT; Estia’s Back Porch Café. From his early beginnings at Estia, Colin has been all about building community. He was a pioneer in the local farm-to-table cuisine movement when he joined Quail Hill farm, Long Island’s first Community Supported Agriculture site in 1992. 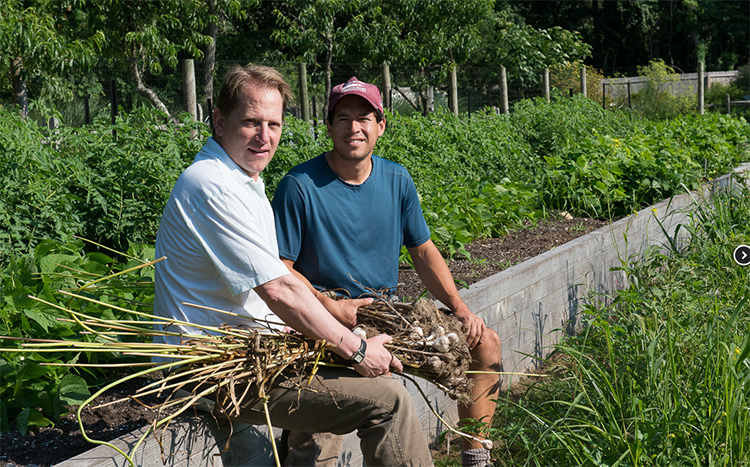 He made his menu even more local when he moved to Sag Harbor by digging up the backyard and planting a large garden that features a range of vegetables and herbs that are served seasonally on special menus. 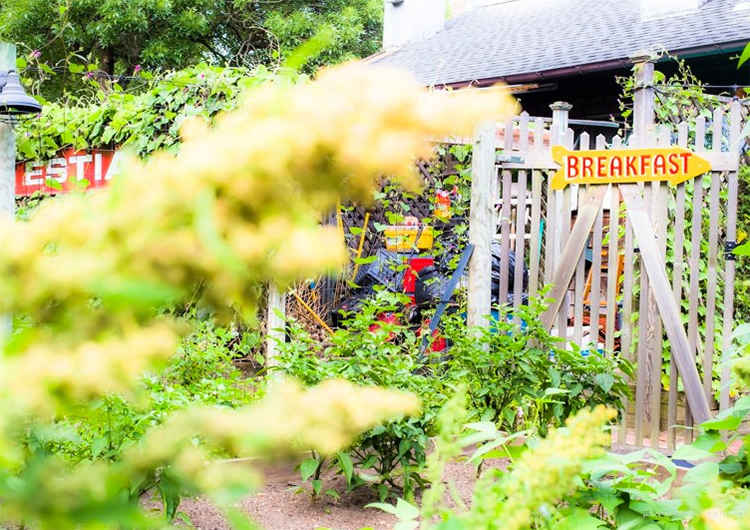 Customers at Estia’s Little Kitchen can lounge in the Adirondack chairs in the sunny backyard as they sip their beverages or walk through the garden or even peer from a distance at the beehive where Colin raises bees for his local honey. 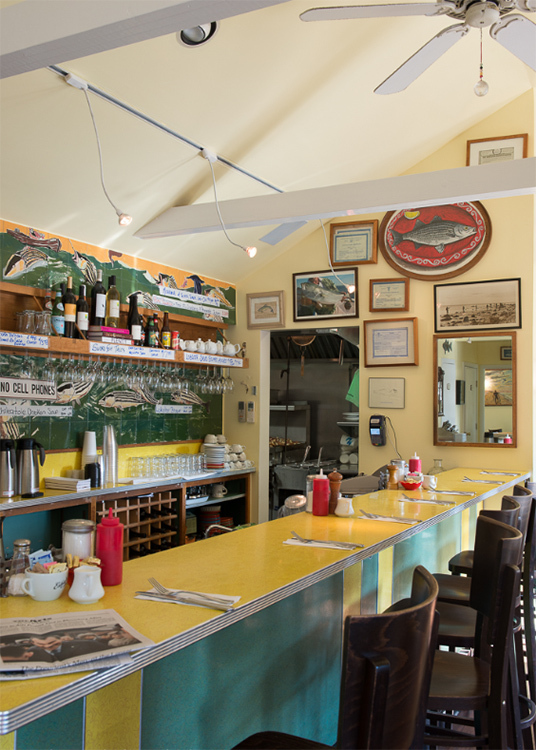 Colin has infused his resourcefulness, personality and hospitality into his restaurants where guests ranging from local tradesmen to famous folks feel at home as if it were their own kitchen or backyard. He has always learned by “doing” and now he is ready to expand his horizons with the American Rivers Tour and learn from those that “do” all across America.